At Keepout Windows, we regularly undertake a range of commercial installation projects. We recently completed an installation for our client Landcore Ltd. The development consisted of three phases, where an office building was retro-fitted and converted into contemporary self-contained apartments. 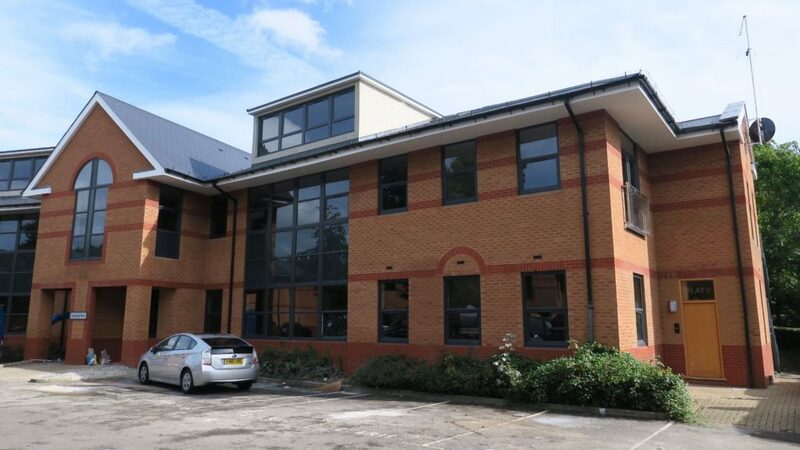 Our part of the project was to supply and install the double glazing products for the entire building. The large commercial building known as Technology House has now been converted into modern and stylish apartments. The majority of the building is set over two floors, with two upper sections in a dormer style protruding from the roof. Over the main entrance there is an arched feature window and sections of multiple window areas. We installed 150 windows in total, many of which were dual functioning uPVC tilt & turn windows. 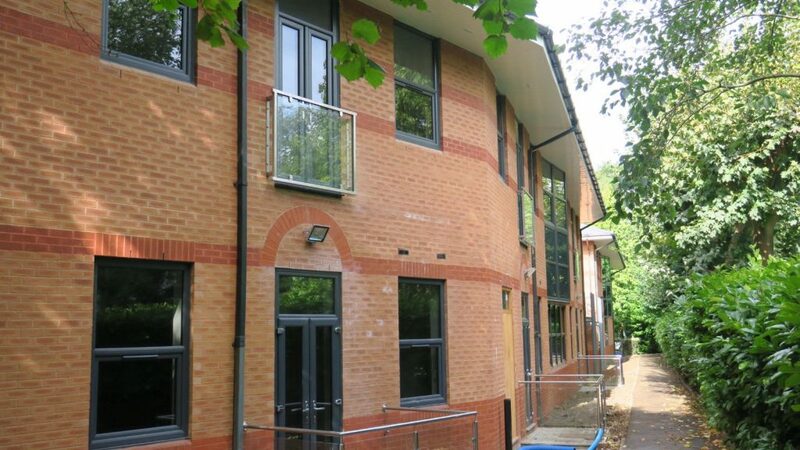 Tilt & turn windows were the perfect choice for this multi-occupancy residential building. Their innovative opening function provides easy exterior access for cleaning and maintenance and excellent ventilation capacity. They are also safe and secure and when fully opened do not impede on interior living space. The project also entailed installing several uPVC French doors. These were open-out design for ground floor apartments leading onto a small patio area. For first floor apartments, they open into the building leading to a secure balconette with exterior views of the complex’s garden area. French doors were chosen for their excellent levels of security and energy efficiency, and their timeless classic design. All the windows and doors used in the installation were dual coloured uPVC. Externally, their Anthracite Grey finish is chic and contemporary; the perfect choice for a modern city apartment complex. Internally, the window and door frames are brilliant White to maximise the reflection of natural light and complement the neutral interior décor. At Keepout Windows, we strive for customer satisfaction in all our installations. If you’re looking for a London specialist for your commercial double glazing installation, look no further than Keepout. For more information on our range of products and services call 020 3322 8700 or contact us online.